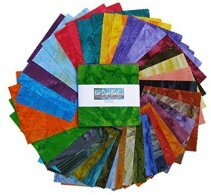 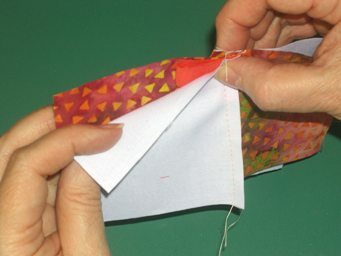 The Bowtie Quilt Block has been a popular block for many years, but this version is more contemporary. 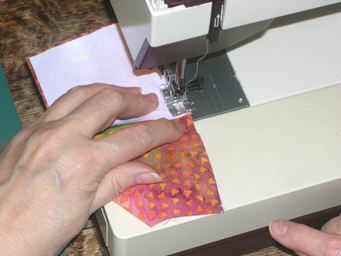 I included a row of these blocks on my granddaughter's quilt (it is shown in My Quilt Gallery, although the bowtie row can't be seen at the bottom). 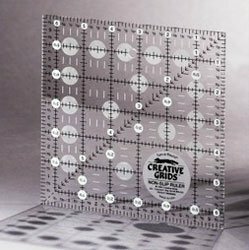 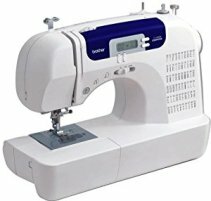 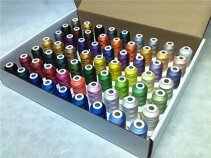 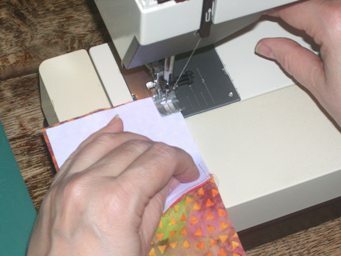 Lay your squares out beside your sewing machine as shown below. 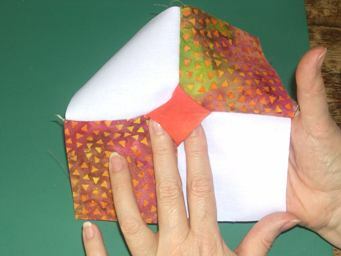 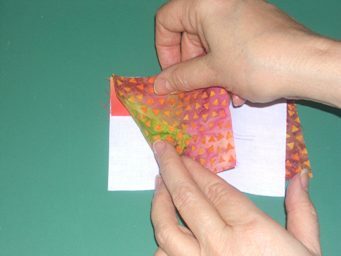 Fold the small center square in half, with wrong sides together. 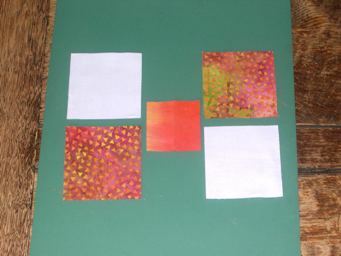 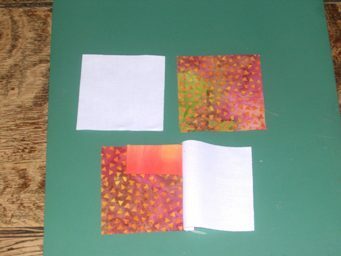 Place on the upper right hand corner of the print square, then place the background square (right sides together) on top of that. 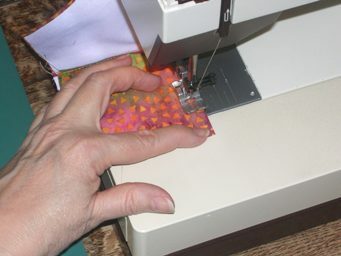 Sew the vertical seam, catching the folded square in the seam. 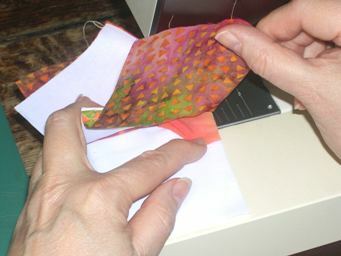 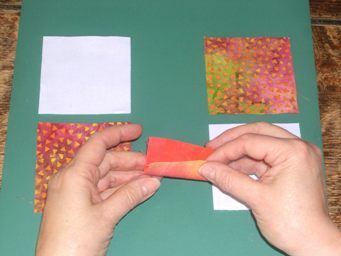 Now fold the two larger squares out of the way so that you can sew the next two squares together with the folded square in between -- see photo. 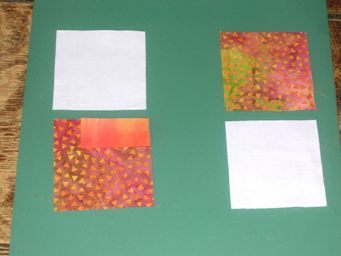 Make sure that the print squares are in opposite places. 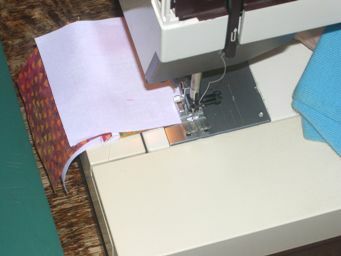 Again, sew the vertical seam. 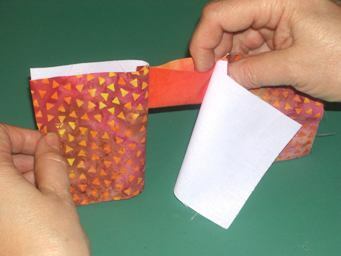 Very carefully "open" the pocket formed by the center square, and lock the two seams together. 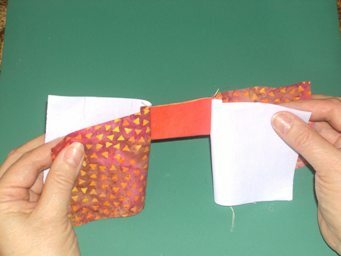 The "lock" occurs when the two seams are pressed in opposite direction. 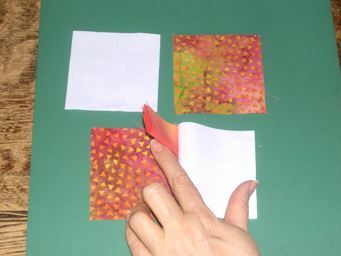 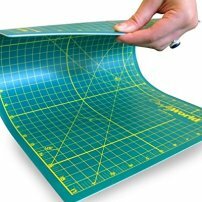 We have not pressed these, but will use our fingers to push the seams the way we want them. 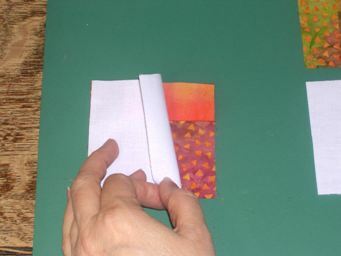 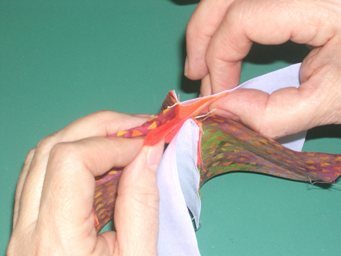 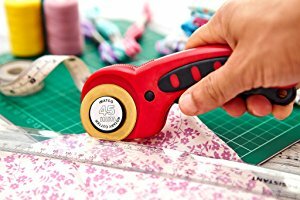 Stretch out the pocket a little so that it is flat and can be caught in the seam. 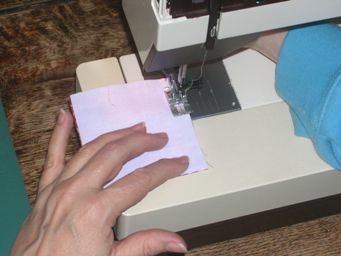 Sew the seam, being careful that the pocket is even with the edge being sewn. 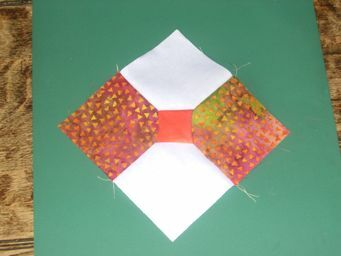 The completed Bowtie Block should measure 6 1/2" square and have a pretty little puff in the center!